Treve will do anything we ask and is a great companion. He respects the boundaries of our farm, is a fine watchdog alerting us to strangers driving up the lane and when we are not out with him, we have been told he commands a situation til we arrive! He is careful around our horses, and always wanting to please. He is a gentleman, calm, confident and sociable with all people and wonderfully gentle with all children. When Treve sees Tom’s boat out he wants to be part of the fishing trip and is a great fishing companion! Treve’s sire and grandsire on both sides work cattle. His pups show excellent herding instincts. Treve is a thinker, evaluating a situation to find a way to help. 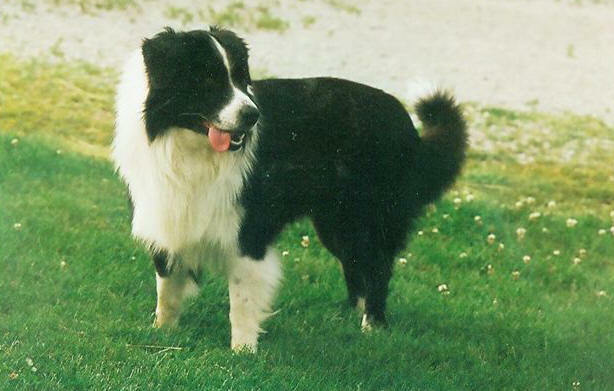 He was a natural at his herding classes, is enthusiastic doing agility, went thru pet therapy classes and is a sweetheart with his old friends at the nursing home. 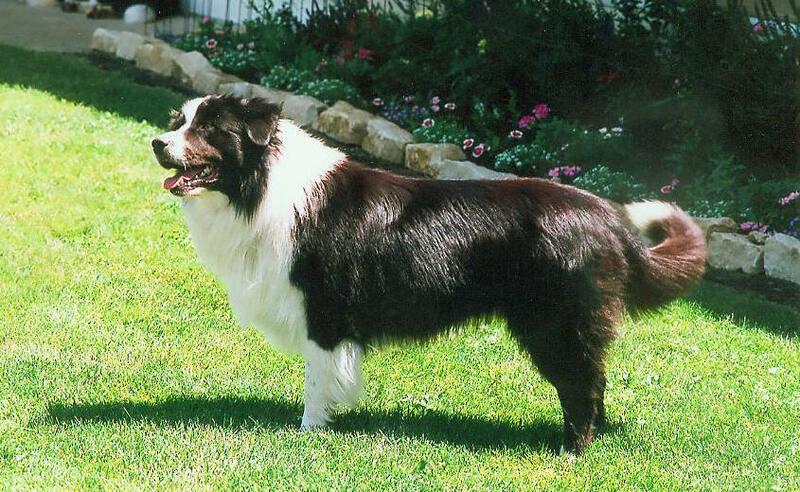 Treve is one of the nicest male English Shepherds ever and has even won the hearts of folks who thought they didn’t like dogs! Treve was awarded his Canine Good Citizen certificate after graduating from Advanced Beginners level from Gem City Dog Obedience Club in Dayton, Oh.